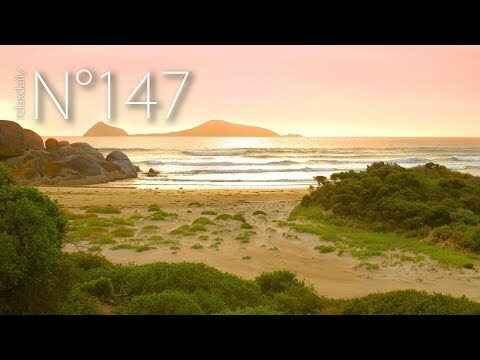 Here comes my latest relaxdaily creation, N°147: Norman Island. Calm instrumental music you can use in your study, spa, background, or simply in your relaxdaily music playlist. Hope you enjoy the music and the evening view I captured at a wonderful beach in Wilsons Promontory National Park in Australia. I make my relaxdaily music also available for you on Spotify, Apple Music, and Patreon. *If you’re new to my music project: I’m Michael, a music creator (I compose, play, record, create music), and I started uploading here on YouTube back in 2011. I believe music can be much more than just pure entertainment. It can be a beautiful soundtrack that accompanies us through a moment, through the day or through life. My goal and journey is to create the most beautiful music possible — one track at a time. Many use my recordings and piano music as background music while doing mental or creative work, as music for studying, to achieve better focus, doing homework, as relaxing music, spa, bar, lounge, cafe music, as music for yoga, while meditating or simply to fill their space with light, calm, peaceful and positive music. This project is not as much about a genre as it is about a feeling. A way of life. With my tunes, I try to take a little heat and speed from our generally quite busy lives. A soundtrack for you, when you feel the need for calm and positive, cooling and liberating tunes. Thank you for listening, liking, sharing and commenting! Thank you for following and supporting what I do!